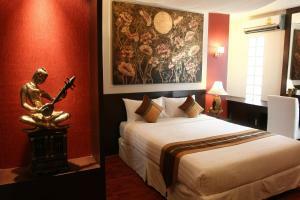 Located in Bangkok’s city centre, Mirth Sathorn Hotel is a 5-minute walk from BTS Saladaeng and MRT Silom Station. 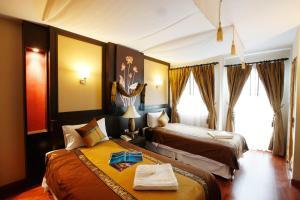 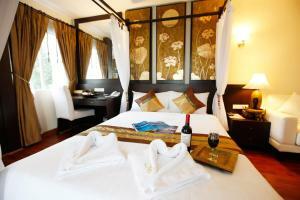 It offers comfortable rooms featuring free Wi-Fi and a flat-screen TV. 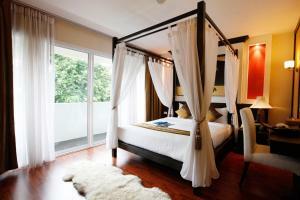 Spacious air-conditioned rooms feature Thai-style décor and a private balcony with views of surrounding greenery.A minibar is available. 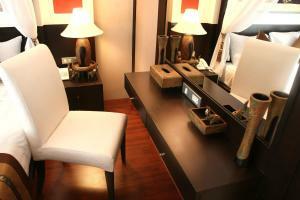 A 24-hour front desk attends to guests’ needs throughout the day. 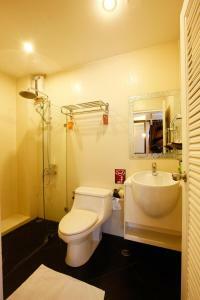 Laundry is also provided. 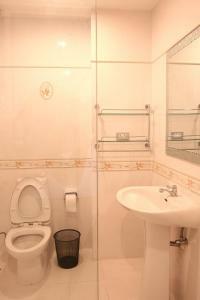 Complimentary private parking is available. 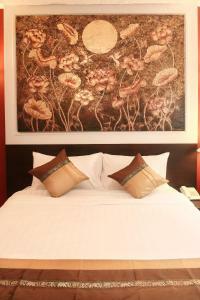 Mirth Sathorn Hotel is a 1-minute walk from BNH Hospital and a 5-minute from Lumpinee Public Park. 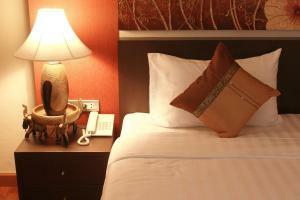 Suvarnabhumi Airport is about a 40-minute car ride away. 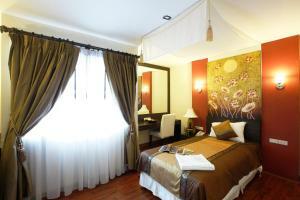 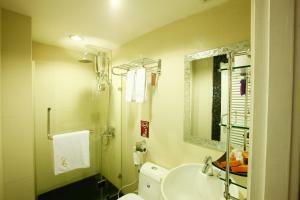 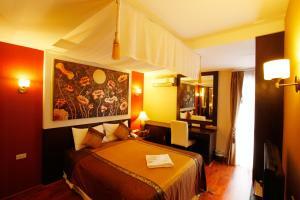 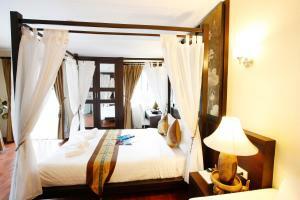 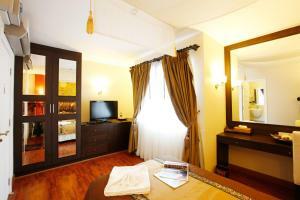 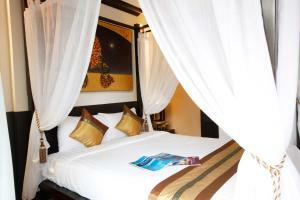 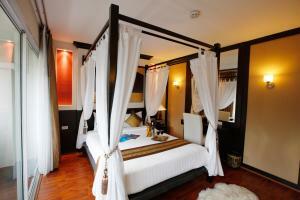 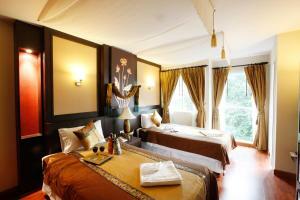 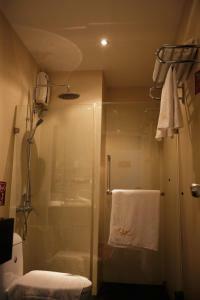 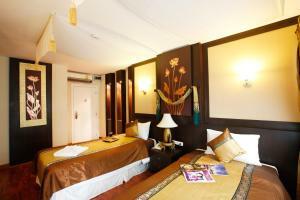 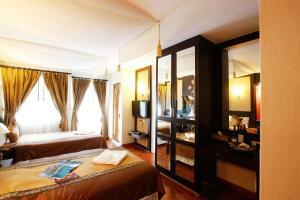 Air-conditioned room with LCD TV, safe and en suite bathroom with shower. 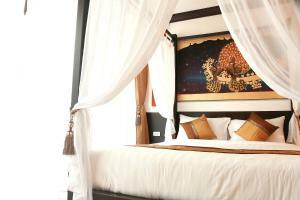 Rate: THB 1300.00 ... THB 2100.00; select dates below to get current rates.